So begins Alan Lightman’s playful and profound new novel, Mr g, the story of Creation as told by God. Barraged by the constant advisements and bickerings of Aunt Penelope and Uncle Deva, who live with their nephew in the shimmering Void, Mr g proceeds to create time, space, and matter. Then come stars, planets, animate matter, consciousness, and, finally, intelligent beings with moral dilemmas. 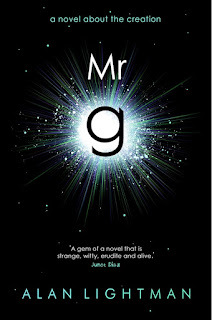 Mr g is all powerful but not all knowing and does much of his invention by trial and error. Even the best-laid plans can go awry, and Mr g discovers that with his creation of space and time come some unforeseen consequences—especially in the form of the mysterious Belhor, a clever and devious rival. An intellectual equal to Mr g, Belhor delights in provoking him: Belhor demands an explanation for the inexplicable, requests that the newly created intelligent creatures not be subject to rational laws, and maintains the necessity of evil. As Mr g watches his favorite universe grow into maturity, he begins to understand how the act of creation can change himself, the Creator. Just sometimes, you read a book and know instantly that this is the sort of book that should be considered great literature. Mr g is such a book. If you buy one book this year, let this be it. Since reading Alan Lightman's Einstein's Dreams (repeatedly), I have wanted to live inside this man's imagination. No other author writing today (that I have encountered) has the ability to write from such unique perspectives, to actually reconceive time as he does in Einstein's Dreams, or to conjure a creator as he does in Mr g.
The blurb describes the book as a story of creation as told by God, but the novel is far more ambiguous than that. There is a creator who lives in the void, though it is made clear throughout, that the various forms of life in the universe cannot possibly imagine the void, therefore the gods we imagine are merely a way of our seeking an idea of something more eternal. As such, it is not a religious book. If anything, the narrator marvels at science, at the beauty of creating atoms that collide, and form something new. The book is grounded in the realities of evolution, of how our universe (not just our solar system, or even our galaxy, but our entire universe) came to be. Lightman makes poetry out of these scientific words, creating a prose that is simple, but so elegant. As well as physics, he praises mathematics and he makes this beautiful too; it is a part of our creation. I had a conversation with an old friend once, about his passion for maths. He said that he loved maths because everything came from maths, everything was made of numbers and codes. At the time I failed to see what he was getting at, but Lightman has helped me to understand this perspective by describing the creation in terms of its basis in numbers. Do not be fearful readers, this is not a novel of technical scientific terms, but rather, Lightman succeeds in casting light on these concepts, in making them palatable to those unversed in complex scientific terminology. If I had to choose a best thing about the novel though, it would be the philosophical questions that arise from the relationship between Mr g and Belhor. Together they argue over concepts such as free will, intervention, mortality, good and evil. Mr g is not the careless creator that made us and left us, but rather a creator who opted to give his beings free will. Through throngs of creatures moving this way and that, as creatures do in their cities, I spotted two men passing each other on a crowded walkway. Complete strangers. In the eight million beings living in the city, these two had never met before, never chanced to find themselves in the same place at the same time. A common enough occurence in a city of millions. And as these two strangers moved past, they greeted each other, just a simple greeting. A remark about the sun in the sky. One of them said something else to the other, they exchanged smiles, and then the moment was gone. What an extraordinary event! No one noticed but me. 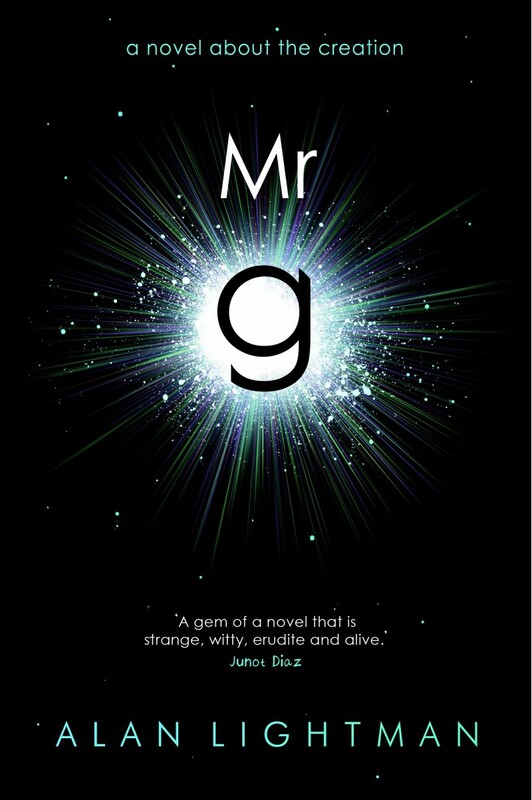 Mr g is a book for anyone who has ever lain and looked at the stars, pondering their insignificance, their mortality. It will make you marvel at your own existence. This is the book I wish I had written.